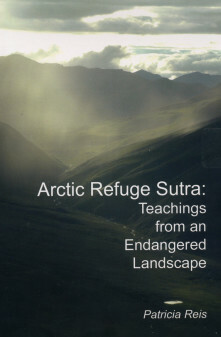 Arctic Refuge Sutra (Muskox Productions), is a stunning visual encounter with the heart of the arctic national wildlife refuge, accompanied by a reflection on the deep teachings of a wild landscape. The disaster in the Gulf of Mexico is news that makes these images and thoughts of yours poignant and powerful . . . You must know, as a psychotherapist, what terrific damage this kind of plunder does to the human psyche. I felt in a dream. A dream older than human consciousness. Where the earth dreams itself. And consciousness has no boundaries.